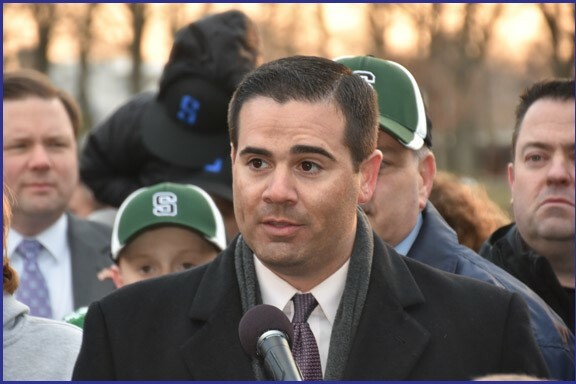 Nassau County Legislator John Ferretti along with members of the Legislative Majority, have introduced legislation to protect youth organizations such as little leagues, the Boys Scouts and other not for profit agencies from being charged fees for using athletic fields and picnic areas in county parks. In the past, usage fees had always been waived by the Commissioner of the Department of Parks, Recreation and Museums for youth and senior leagues and other not for profit agencies. However, County Executive Laura Curran has directed the Parks Commissioner to no longer waive these fees. As a result, organizations have received bills for as much as $16,000, without any warning. Under the current law, charging the fees is at the discretion of the Commissioner of Parks, Recreation and Museums. The proposed legislation would prohibit the commissioner from charging fees to organizations serving Nassau County’s youth and senior populations or for charitable purposes.